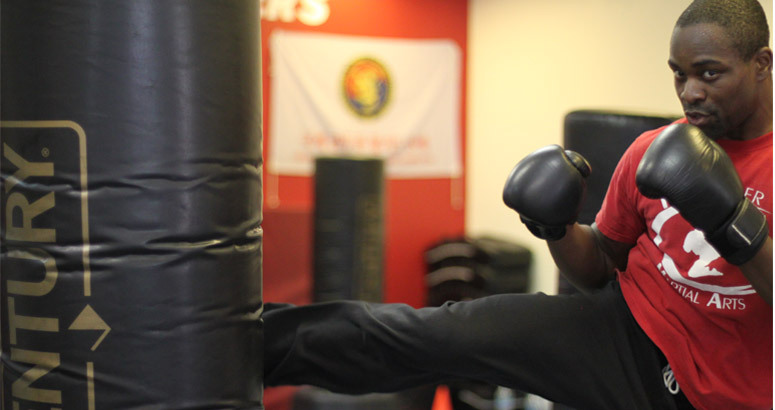 Our Kickboxing Classes Focus on Physical Conditioning and Cardiovascular Benefits, as well as Effective Self Defense Techniques. Whether you have a specific goal in mind or just want to look and feel better, we’ll help you get there. We are here to teach, support, and encourage you as you learn effective self-defense skills and achieve your fitness goals. Getting fit, feeling good about yourself, burning the fat off your stomach, rear-end, thighs and arms doesn’t have to be boring or complicated. It can be fun AND simple. It doesn’t have to feel like “guess work” or like you’re doing it all by yourself. You can have guidance from professionals who are dedicated to your success and the support of peers who are all in it for the same reasons you are. If you’ve tried just about everything to get in shape and stay fit, but just keep falling short – maybe it’s time you tried something new and different… If you keep trying new Gyms, spending money on home exercise equipment or find yourself falling victim to the latest miracle diet all with no results - it’s time to STOP! Stop wasting your effort and your money – It’s time for something NEW, FUN and Different! We provide the right workout for you to lose the weight, gain the muscle and look the way you have always wanted to look. Feel The Calories Burning and The Fat Melting. If you’re ready to break the cycle of Boredom, Disappointment and Lack of Results come on in and try out our Kickboxing Program. Take some FREE Classes – Feel The Energy, The Guidance and Support our Program Will Give You.